Seeking to purchase a police call box or call box door from Cuba as shown below. One was advertised several years ago on this site, and I have been unable to make contact with the member (New York Officer). I'm hoping that perhaps someone on the site either knows that member, or purchased it. 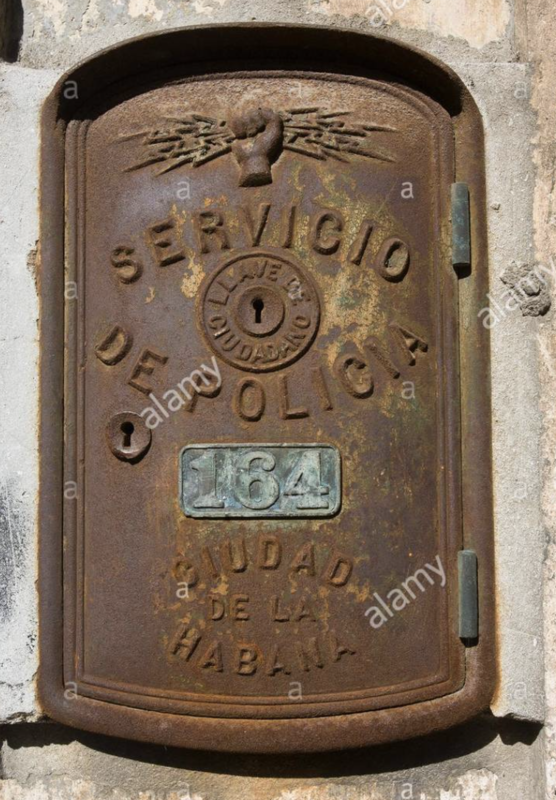 I saw your post from a few years ago regarding Cuban police call boxes. I am a Gamewell police call box collector here in Michigan, and a retired LEO. Would you happen to have a box available or even just a door? It is a really unique item. As a follow up, because of the weight and shipping issue.......I would be very happy with just a door and not an entire call box. I have owned roughly 50-60 boxes over the past 25 years, and this would be one of the most unique. As a result, I would pay some serious dollars for a door (with hinges preferred). Thanks for your patience.